Let's face it: There are a lot of really weird love stories in fiction. From Romeo and Juliet to Buffy, many of the most memorable romances are those that are in some way bizarre if you give them a bit of thought. That said, it would be impossible for me to judge what the most insane of such romances is; there will always be one stranger. Instead, I'm going to talk about my personal favorite of such courtships, a courtship so insane that I've been wanting to write about it for over three years but never had the chance... until now. 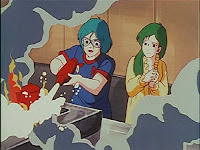 Somehow managing to beat out the Bollywood musical that is Courtship of Princess Leia, my favorite ridiculous, absolutely bonkers fictional courtship is from Robotech/ Macross. I will be using names and quotes from the Robotech version because I'm most familiar with it. Telling you the identities of the two involved would be something of a spoiler for the series, so that shall be under the jump. WARNING: Below Be Somewhat Spoilers For A Show Over A Quarter Of A Century Old. Click At Your Own Risk. Max and Miriya Sterling, oh how I love you guys. Sorry Rick and Lisa; you may technically be the alpha couple, but you guys just can't hold a candle to the fantastic that is the Sterlings. These two are without a doubt my favorite two characters in all of Robotech, if not all of television ever. As much as I love them both and they work really well as a couple, though, the way they become a couple is absolutely insane. Max! A~h! Savior of the universe! In the near future of 2011, humans are at war with the Zentradi, a warrior race of gigantic humanoids. Max Sterling is the hottest pilot (pun intended) on the SDF-1, a mobile battle fortress that is trying to return to Earth after accidentally jumping to Pluto. Oh, and there's a city on board. That part's important. Max is a humble, laid back piloting genius who lets his best friend delude himself into thinking he's the main character. 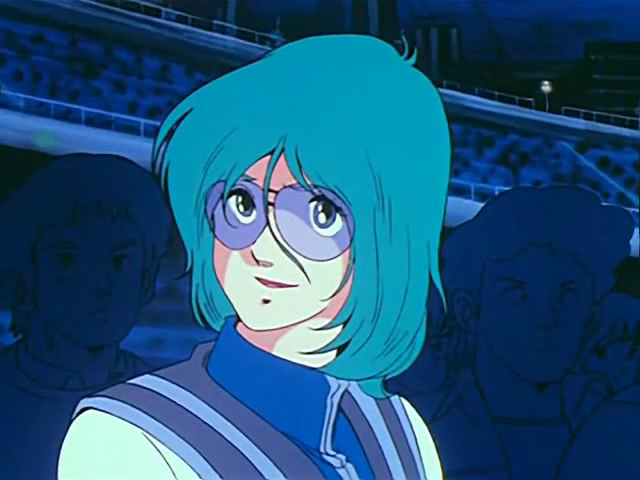 Miriya Parina is the bestest pilot/warrior of all the Zentradi warriors, and remember, all Zentradi are warriors. She's fierce, competent, competitive, and can totally kill you. 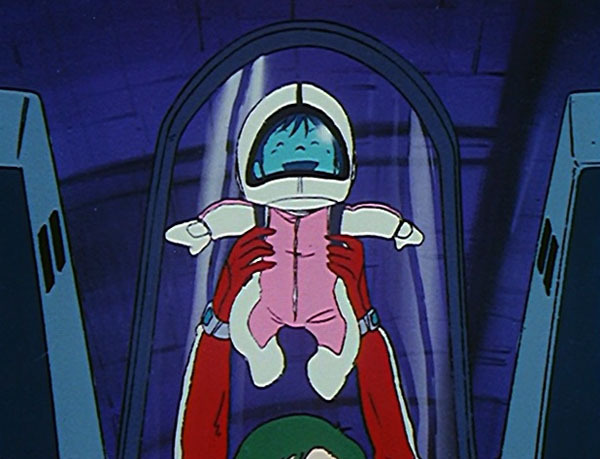 That said, she doesn't take it so well when she's defeated in space combat by a puny Micronian (Zentradi for "human" because humans are tiny). Her pride cannot stand for this, so she volunteers to be recloned (just what it sounds like, but with consciousness transfer, because why not) to tiny Micronian size to infiltrate the SDF-1, supposedly to spy, but really, it's to vengence-up the Micronian who would dare to defeat her. Remember how I said that a city is on board? That's how she gets away with it. There are civilians all over the ship, so she doesn't need to worry about military clearance. Miriya knows not this thing called...love. Wandering around the city, Miriya comes across an arcade, which the super-pilot she fought will of course visit at some point since it is obviously a military training facility. Because the Zentradi are raised from the time they're decanted (the joy of genetic engineering!) to be warriors and they no not this thing called "recreation." Nor do they know this thing called... love. Miriya's logical deduction turns out to be spot on (completely by coincidence) as Max is hanging out at the arcade with some friends. Miriya gains a bit of attention as she handily defeats pilots from the nearby base and Max takes notice-- mainly because she's incredibly attractive, but her mad skillz (either the game controls are similar to those of Zentradi Power Armor or she's just that good) are a factor as well. He challenges her to a friendly game and she accepts, but as they play she recognizes him as the pilot who bested her from his playing style. Meanwhile, Max is thinking about how pretty Miriya is. Boy, she sure is pretty. Max beats Miriya in the game and Miriya is feels humiliated to have been beaten yet again. Before she can leave in disgust, Max grabs her hand: "Wait, don't go, this could be my only chance to get your name and phone number!" "My name is Miriya and I don't presently have a phone number." Miriya: Ice Queen. She tries to pull away Max's obliviousness grip is too strong: "Then would you meet me at the park tomorrow morning at nine o'clock?" "Oh, whatever you want! Just let me go!" And then she runs out the door and down the street. Max: Master of Reading Moods. That night-- wait weren't they going to meet in the morning? *rewatches clip* Yep, that's definitely what Max says. Oh well! That night, Max shows up in the park (on the spaceship; it makes sense in context, I swear) and starts worrying that Miriya was mugged or something. 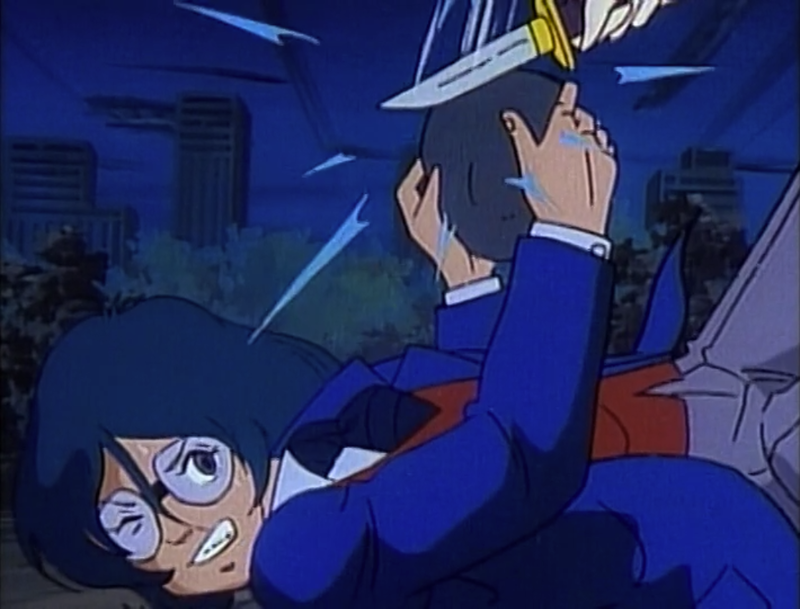 Then Miriya jumps out of the bushes and runs at him with a knife. "Maximillian, prepare for your doom!" This is going to be the most romantic first date ever. Max is understandably shocked by this: "Miriya, there you are! It's nice to see you could make it!" ...um, Max? Honey? I don't think I ever want to learn about your love life prior to this if that's your first reaction to being attacked with a knife on a first date. As all great romances start. Fortunately, Max realizes that having a knife fly at his head does not equal fun times in time to avoid his doom. 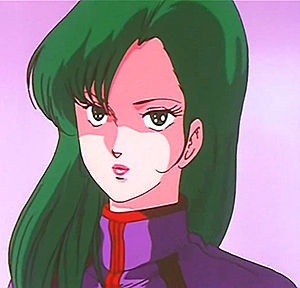 Miriya reveals that's she's Zentradi Air Force and unsheathes another knife, declaring that she will have revenge. But why does she want revenge, Max asks. Then she explains the whole I'm-the-best-but-you-keep-humiliating-by-being-better deal ("I will defeat you!!") all the while slashing and stabbing at him. Max manages to get to knife she threw at his head earlier and a knife fight commences. 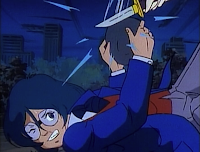 Max disarms Miriya, declaring his victory, but losing to him yet again is a shame Miriya cannot endure. She drops to her knees and, with tears streaming down her face, asks Max to kill her. And here's where things get fantastic. "But I...but I couldn't! You're so-- so beautiful!" And then they hug. And then Max proposes to her. Why, yes, that did escalate quickly. Miriya, coming from a warrior culture that knows not that thing called... love, asks what "marry" is. "It's something that no words can describe. Miriya, it's love and that's the most beautiful thing there is." Aww. All he knows about her is that she's a hostile alien warrior who attacked him with a knife and is hot. But aww. Max finds Rick, the guy that likes to pretend he's the main character or something, and tells him that he think he's "going to get married or something." "Why, that's the most ridiculous thing I've ever heard. You only went on one date! Don't you think you should get to know each other?" Oh my god, Rick is the voice of reason, even before Max gets to the whole "Oh, and she's a Zentradi spy" part. Someone call Lois Lane; we've got the story of the century over here. But because Max is awesome and he and Miriya are in love (a concept completely alien to Miriya's culture; just go with it), Rick's silly suggestion to maybe get to know each other first or something is overruled and Rick gets a lecture about the Power of Love. And then Miriya shows up in a frilly pink dress and Rick sees the great logic of Max's argume-- STOP. HOLD UP. Miriya is wearing a frilly pink dress. No wonder Max's logic is suddenly working; reality has warped beyond repair. 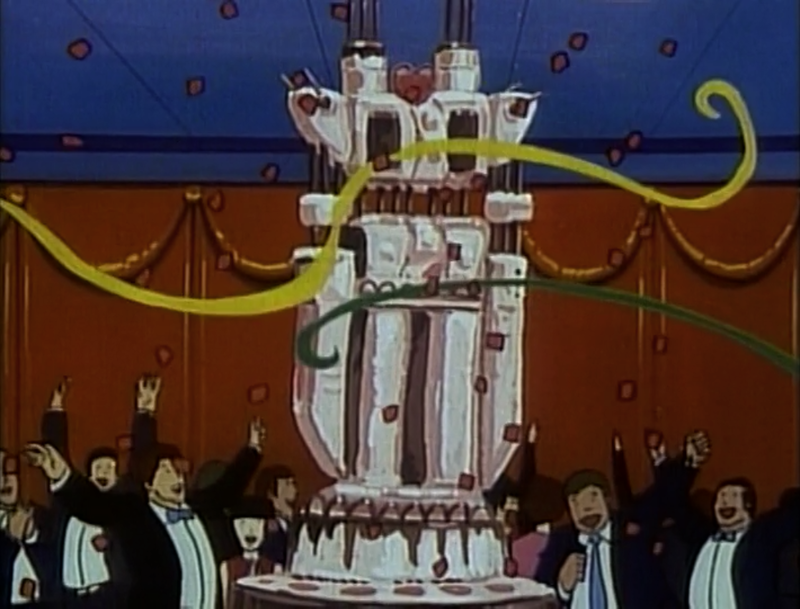 So then they have the wedding and the whole ship celebrates because (1) first space wedding ever and (2) first wedding between a human and a Zentradi and clearly they don't need to worry about the self-professed alien spy in their midst. 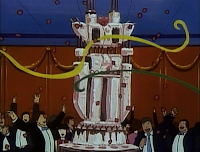 Oh, and the wedding takes place in Max's fighter while they are flying through space over an elaborate light show projected by the SDF-1 with the whole squadron in elaborate robot formation around them while Miriya plays the demure bride. Or maybe that was the reception. Either way, it's broadcasted live throughout the ship and beyond, causing the Zentradi leader monitoring the human broadcasts to wonder what the heck Miriya's doing. "It would appear, sir, that she can't resist the charm of that Micronian pilot." Silly Exedor, no one can resist the charm of that Micronian pilot. And then the Zentradi decide that "this 'love' could be used as a very powerful weapon." Haha, Miriya could kill me in her sleep. "But only used a little dash of liquid that I got out of this bottle." "It says 'oil' here, Miriya. Oil catches fire." "You cooked the coffee pot!" I wish I could make up something that fantastic. 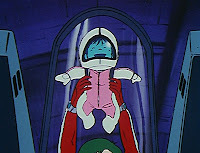 That's not even getting into the wackiness Max and Miriya get into after they have a baby; the Zentradi, remember, think that love is some kind of brainwashing super weapon and thus fear cooties, so Max and Miriya take little Dana Sterling and show her to a bunch of huge Zentradi warriors as proof of the Power of Love and the Zentradi freak out because she's pretty much the biggest cootie ever. That's right: Max and Miriya bluff the enemy with their baby. Because they are the best and the best can do that. In summary: space battle, video games, knife fight, wedding, roasted coffee pot, weaponized baby. And everything from the video games to the coffee pot happens over the course of two episodes, specifically episodes 24 and 25. So that's my favorite completely insane courtship in fiction. Apparently the deadliest pilots make for the craziest romance. Feel free to let me know your favorite wacky romance in the comments! Ha ha ha, I love this entire post from Bollywood musical to weaponized baby. Also, CORRECT, Max & Millia TOP forever. Thanks! Those two definitely make everything better, including wacky romantic hijinks. They are my OTP.